Life can be hard sometimes, really hard. One of the hardest possible things to deal with is sick kids. Those innocent little munchkins who don't understand why they aren't happy and healthy like the other kids. I can only imagine what it must be like to be a parent or loved on in that situation. Little Scarlette was just two years old when she had her battle with cancer and although she came out victorious, she unfortunately had her left arm amputated. This is where this story gets a whole lot brighter. 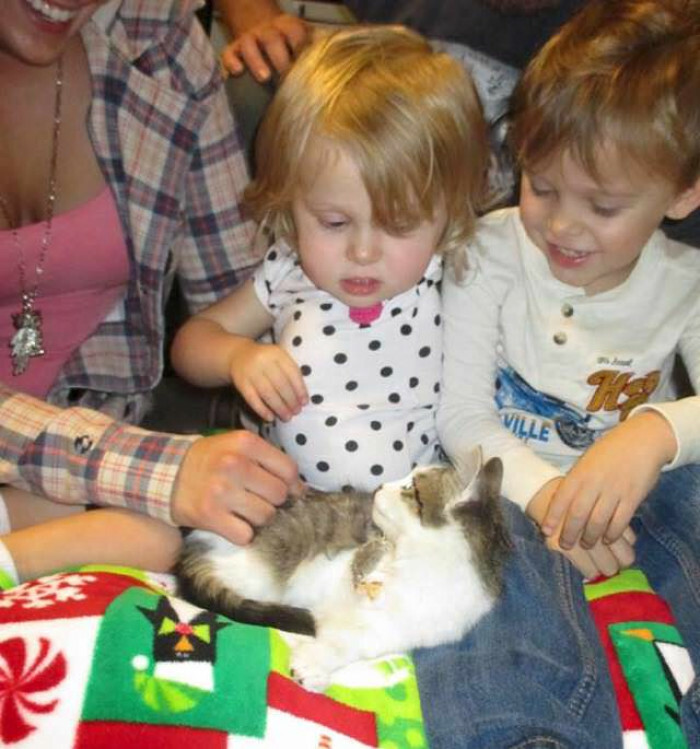 Scarlette is a huge fan of cats, so her family had been searching for months for the perfect little feline for Scarlette to have as her own. 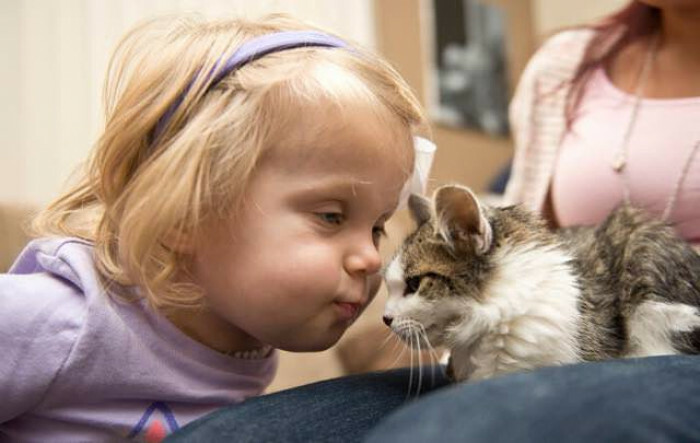 That's when the family found out about a local cat that had a leg amputated and knew that this was the perfect companion for little Scarlette. Now, sit back, relax, and prepare to have your heart broken. Imagine if she turned out to be allergic to cats? 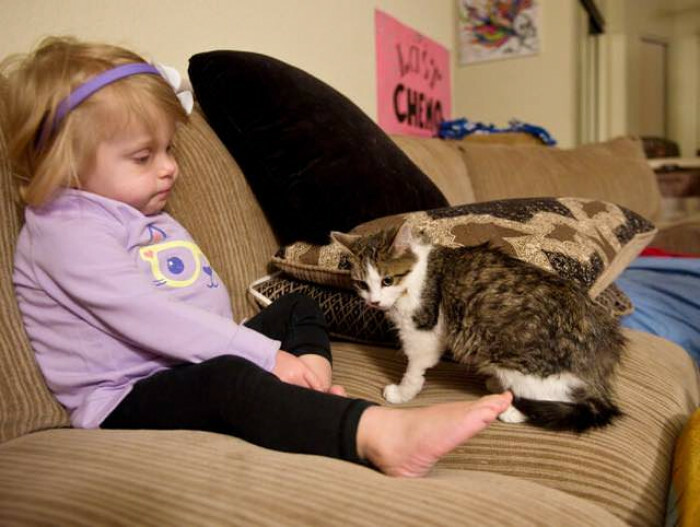 If cat body language is anything to go by I'd say the little girl is in the danger zone right now.